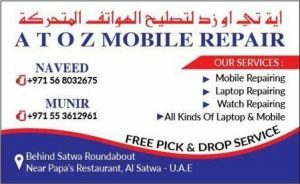 Samsung Tablet Repair in Dubai What is close to you every second of your life may end up needing some care and proper repair, you guessed it right, and it is your Tablet. Your Tablet keeps you connected to the rest of the world with one touch. But what if that screen goes black or breaks? What if you find your Tablet overheating, draining battery or simply going gaga because of some malicious software? Worry not! Heroes come in all forms and sometimes, they repair your Tablet without any additional cost. Yes, we will make all kinds of fixes for your Samsung Tablet and you will have it back in your pocket, fixed and running in no time. You can reach us here as we provide the following quick Samsung Tablet Repair in Dubai. Taking your Tablet to a pool or for a Desert Safari exposes it to all kinds of dangers like risk of falling into water or accumulating a lot of dust inside. To take good care of your daily life companion, give it a bit of cleaning which will improve the look of your Samsung Tablet making it shine. Even if you accidentally dropped your phone in water somewhere, you do not have to panic anymore. 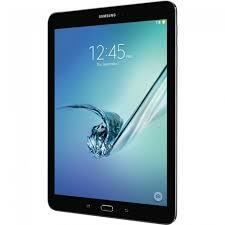 Your Samsung Tablet is certainly a powerful device but malicious software may still end up causing some glitches. It may have come from some recently installed application or a mere screen tap. No matter what the source is, our repair technicians will provide quality recovery from the viruses leaving your data and Tablet safe and secure Samsung Tablet Repair in Dubai. Samsung Galaxy Tab Repair services etc in Dubai..
We can pick up your Samsung Tablet from any remote location in Dubai. We offer the fastest repair service to your Samsung Tablet .